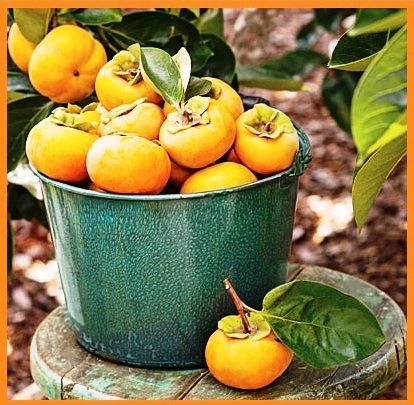 The persimmon tree has been cultivated for centuries in its native land of China where it was nicknamed “Apple of the Orient.” It was later grown in Japan and Korea and came to California in the mid 1800s. There are thousands of varieties. Most persimmon trees are either male or female. Many are grown specifically for the fruit which can readily be found in supermarkets during season. Persimmon (Diospyros kaki L. – Greek for “fruit of the gods”), its common name ‘kaki’. It is really not a fruit, but a large, round, succulent berry, with a smooth, thin peel of variable color (from yellow to brilliant orange), depending on the degree of ripening. The pulp is soft, creamy, almost gelatinous when the fruit is fully ripe. 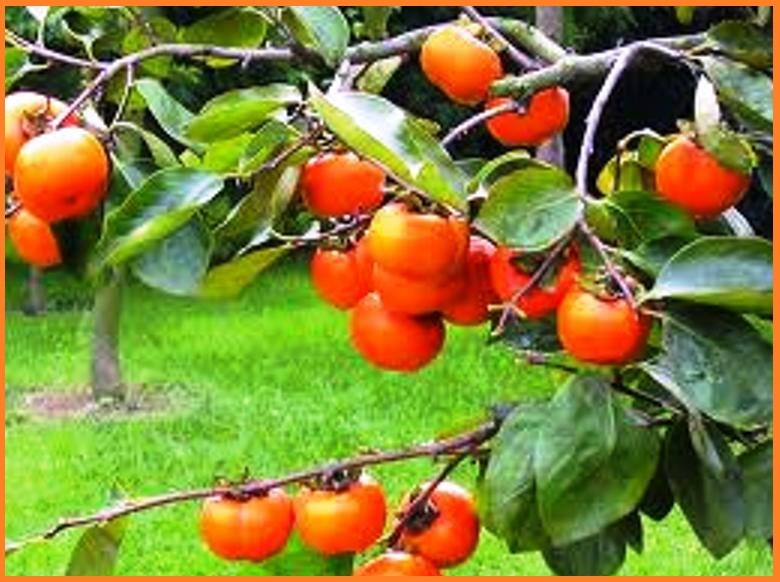 The persimmon tree grows from 30 to 70 feet in height. It is a tree with drooping branches and leaves and has a tropical look. 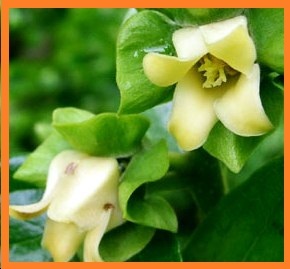 Its leaves begin as a pale yellow-green and mature into a shiny green. Tea can be made from the leaves. The female persimmon tree produces single cream-colored flowers while the male flowers have a pink tint to them and are born in clusters of three. Persimmon fruit varies in color from light yellow orange to dark orange red. They can weigh as little as a few ounces to more than 1 pound. The shape of the fruit varies from spherical to acorn shaped. A tree will produce a large crop of edible fruit and, as with most fruit trees; the fruit comes during the summer months. The fruit is sweet when ripe but has an extremely bitter taste if eaten before it has ripened. 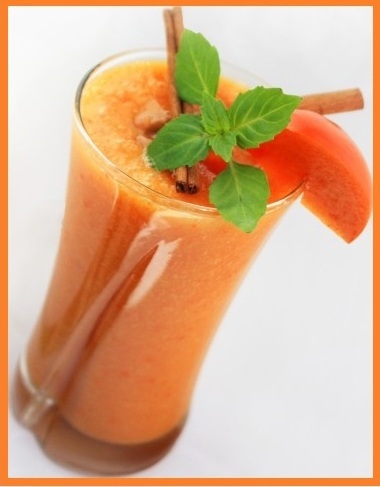 Persimmons are usually not juiced but are eaten on its own, pureed or used for making smoothies. They are highly fibrous, delicious and nutritious. For more information check out the NUTRITIONAL DATA link. Ageing protection: Free radicals damage skin cell and stimulated ageing which is faster than normal. But antioxidants and phytonutrient reverse the ageing effect and protect from early ageing. Cancer fighting: Persimmon contains highly beneficial nutrient which protect from free radicals. Free radicals are responsible for cancer. But antioxidants and phyto-nutrient neutralizes these free radicals and prevent DNA damage. Cells with damaged DNA turns into a cancer cell. So persimmon fruit is effective to protect from the root cause of cancer. Eye protection and nourishing: Eye retina damage is the cause of eye vision loss. Retinal damage is caused due to free radicals. Persimmon fruit contains a vast amount of nutrient like antioxidant Vitamin A, Vitamin C, Vitamin K and phytonutrient zeaxanthin. These nutrients are extremely important to protect eye retinal damage. Also it protects from cataract or age related macular degeneration. 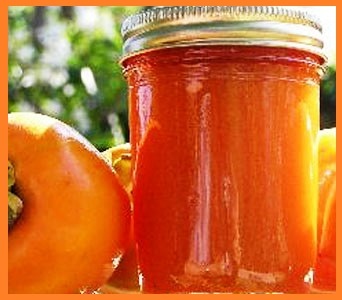 Improve Digestive system: Persimmon fruit provides a high amount of fiber. Fiber provides roughage during digestion which is essential to improve digestion process. 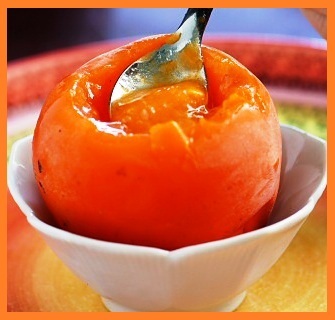 Also eating persimmon fruit prevent constipation. To check if persimmons are ripe, lightly depress the fruit. If it’s hard, it’s not yet ripe, do not eat unless you’re certain that you’ve got the non-astringent variety. Fully ripe persimmons are soft to the touch and have a good overall orange coloring. The skin will appear transparent and should be smooth. To speed up the ripening process, put persimmons out at room temperature. Storing them in the fridge will slow down the ripening process. Persimmons are eaten fresh, dried, raw, or cooked. When eaten fresh they are usually eaten whole like an apple or cut into quarters, though with some varieties it is best to peel the skin first. One way to consume very ripe persimmons, which can have the texture of pudding, is to remove the top leaf with a paring knife and scoop out the flesh with a spoon. Riper persimmons can also be eaten by removing the top leaf, breaking the fruit in half and eating from the inside out. The flesh ranges from firm to mushy, and the texture is unique. 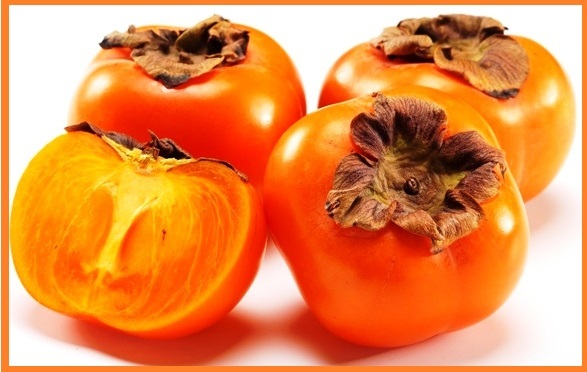 Persimmons can also be used to prepare delicious sauces, creams, jams, jellies, marmalade, compote, smoothies and can be incorporated into salads. They make a delicious sorbet. 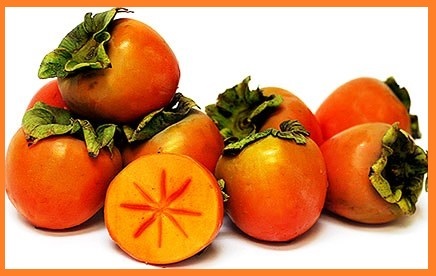 Due to its high content in sugars, persimmon is not recommended for people suffering from diabetes, obesity or overweight. Dried persimmons have even higher sugar content because in its dried state, the sugars are more concentrated. 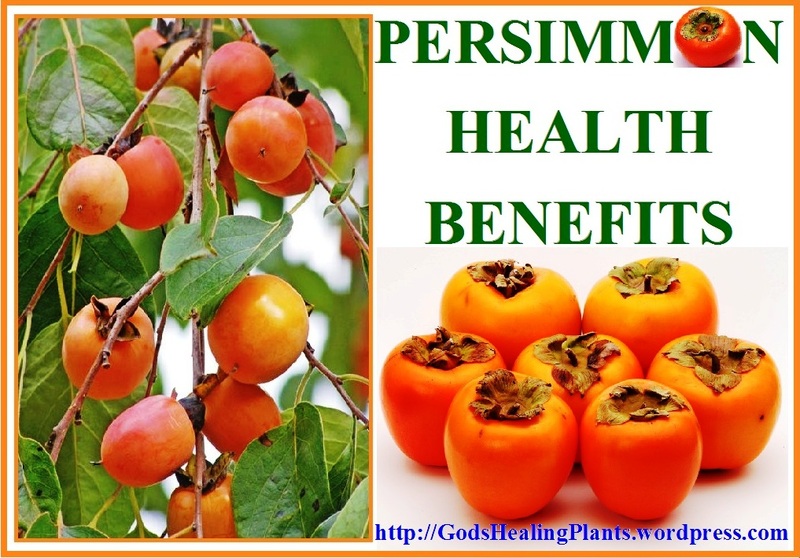 Eating persimmon fruit provides many health benefits. It contains high amount of tannin which is the risk factor. 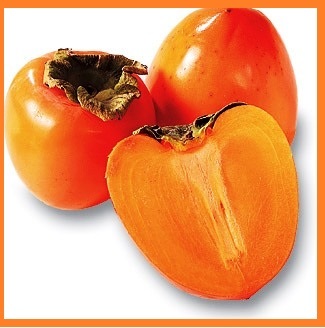 Eating persimmon fruit with an empty stomach can cause diarrhea. Also eating in excess also cause diarrhea due to its high tannin content. So be safe and eat persimmon in limited quantity. Again, diabetes patients should stay away from it as it contains high amount of sugar. Thank you for sharing the information. Blessings.